WELCOME TO NORTH AUGUSTA ROOFING! A FAMILY OWNED AND OPERATED COMPANY, COMMITTED TO EXCELLENCE IN ROOFING. WE PRIDE OURSELVES ON BECOMING ONE OF THE TOP ROOFING CONTRACTORS WITHIN THE AREA. NORTH AUGUSTA ROOFING HAS BEEN SERVING THE ENTIRE CSRA FOR WELL OVER THIRTY YEARS! North Augusta Roofing and Construction, has been providing the highest quality, in roofing and remodeling services since 1985. Over the years, we’ve built our reputation on honesty and integrity, to become a most trusted source in affordable roofing service. Hiring the North Augusta Roofing and Construction Company is an Excellent Choice! You can hear from others on their experiences by visiting our Customer Testimonials. WHY HIRE NORTH AUGUSTA ROOFING? CHOOSING A ROOFING CONTRACTOR, IS ONE OF TODAY’S MOST IMPORTANT TASKS AND MANY KEY ELEMENTS SHOULD BE TAKEN INTO CONSIDERATION. RATES, REPUTATION AND RESPONSIVENESS ARE EQUALLY IMPORTANT. North Augusta Roofing and Construction Co is Confident you’ve made a great choice! 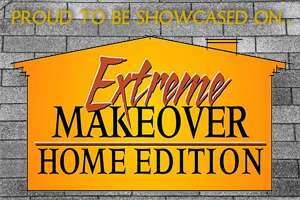 So whether its home improvement or custom building a new home, we can meet your needs! Most important is our commitment to being reliable, polite and friendly. 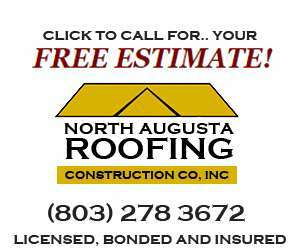 We are Licensed, Bonded and Insured as roofing contractors for the Augusta area. Thanks to our many years within the construction industry, we’ve developed plenty of partnerships which we now leverage to provide our outstanding customer satisfaction! This ensures the best rates and service. From pre-installation to the after-care of your new roofing, North Augusta Roofing has your home or office covered. Literally! Our fast response and competitive rates ensures a 100% satisfaction with our service. We are voted “Best of the Best” and have the highest level of satisfaction and referrals. If your ready to consider repair or replacement of your roof, request our Free Estimate. you today. One of our team will be happy to schedule an onsite inspection and answer any further questions. Thank you in advance in consideration of, North Augusta Roofing and Construction Co.